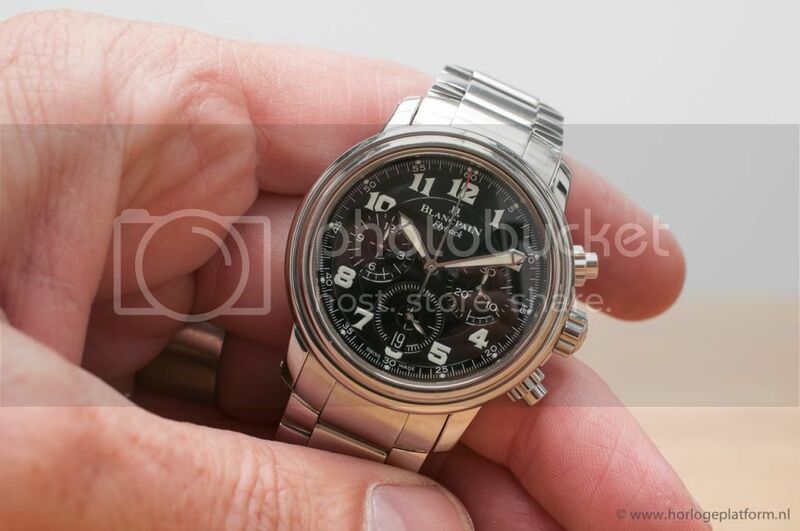 Another very nice and interesting Blancpain for sale, the reference 1185F-1130-71 Flyback Chronograph. A distinguished yet sporty watch from a classy brand and with an interesting movement. Beautifully sized at 38 mm, if you’re not into those huge watches anymore as well that is of course. There you’ll find all other information on the watch, like year of production, sizes and so on, as well. This entry was posted on August 29, 2014 at 17:38 and is filed under all, front page, sold. You can follow any responses to this entry through the RSS 2.0 feed.